I generally do not make promises I cannot keep. Even if it takes a little over 2 years to follow through on it, I'll still manage follow through. Yep, today I finally got around to starting a batch of mead. For those that do not know, mead is a fermented beverage made from honey. 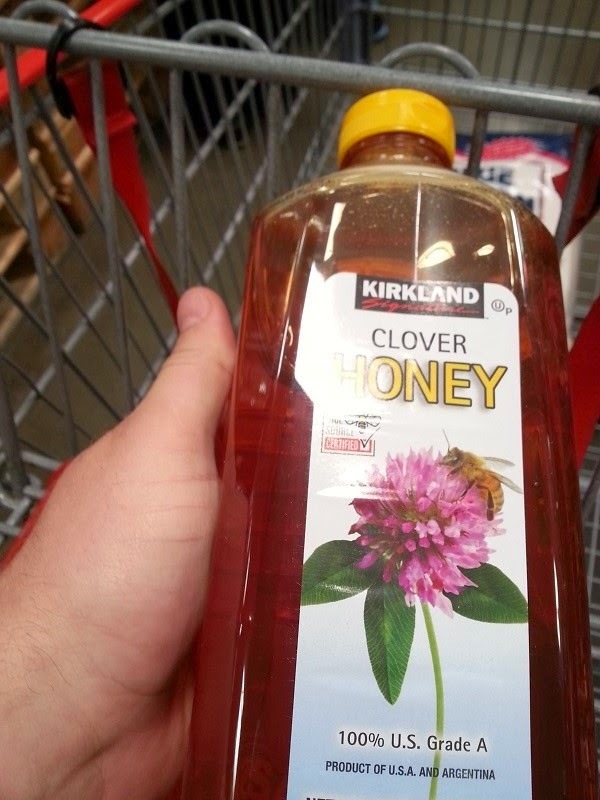 Think of it as a honey wine. To start things off, I filled up a small pot with some warm water to make the honey less viscous. Otherwise, I'd be waiting hours for it to pour out of the container. I had my kettle boiling up about 1 gallon worth of water to get the honey dissolved. I brought out my fancy drug kitchen scale to measure out the 3.5 lbs of honey needed to make this batch spectacular. From my misdoings, I ended up going over by 0.1 lbs. Nothing wrong with too much honey, as long as the sweetness in the end doesn't make it undrinkable. In hindsight, I should have added some water to my carboy before pouring in the honey. It took a good deal of vigorous shaking to dissolve all the honey. At least this step aerated it appropriately! Now the honey is dissolved! After dissolving all the honey, I tossed in all of the raisins and cinnamon. The orange was a bit of a challenge since my orange slices were too thick to go down the neck of my carboy. A little butchering got the job done without too much pulp going everywhere (lie). A little water to top it up and a teaspoon of bread yeast (yes, bread yeast! 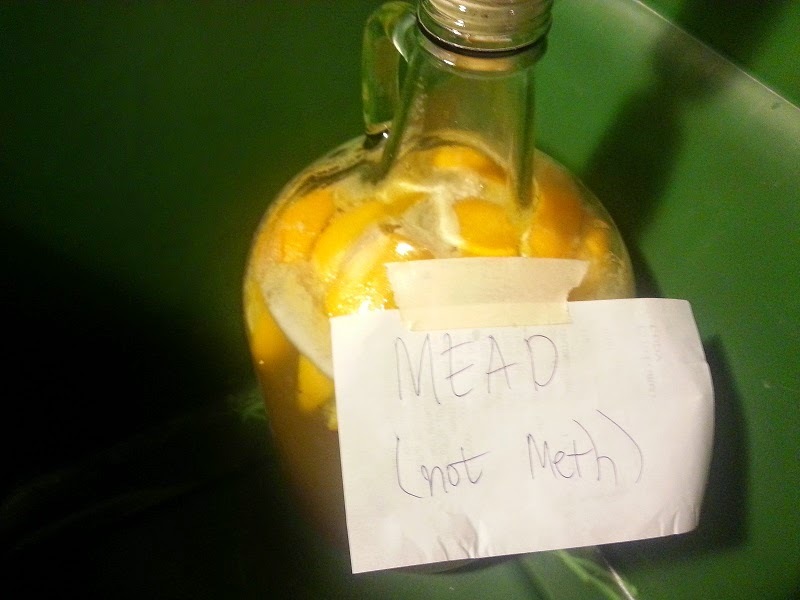 ), and this mead is ready to go! According to the recipe, this thing should be done and ready to bottle in exactly 2 months from now (July 2). I must resist the temptation of pouring out the batch and drinking it now because it's so tasty in it's current state.